Abstract. 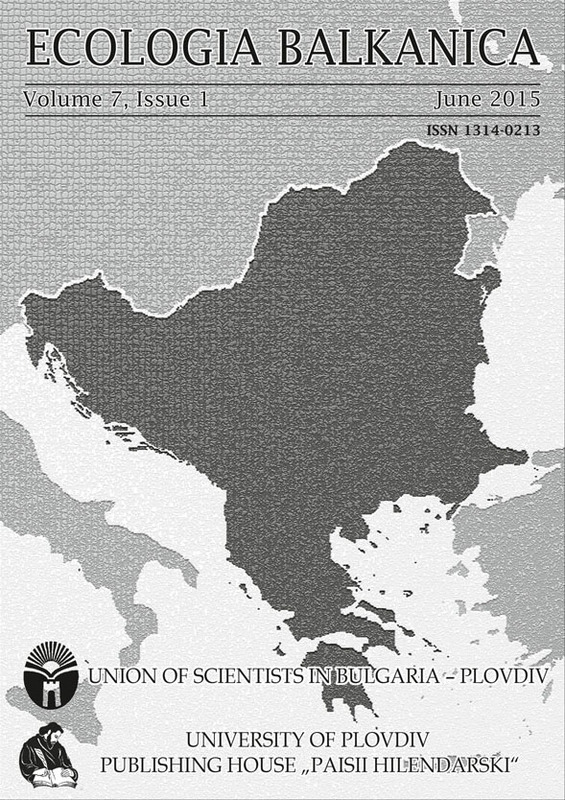 Species composition and distribution of aquatic bryophytes and vascular plants assemblages in Mediteranean Rivers in Bulgaria are presented in this work. Aquatic macrophytes were studied at thirteen rivers in South Bulgaria during 2014, together with abiotic factors (flow velocity, shading, and substrate type), mean depth and altitude. In total, 73 species were registered, of them 13 bryophytes and 60 vascular plants were identified. Aquatic bryophytes included 10 mosses and 3 liverworts. The recorded bryophytes species refer to 7 families and 12 genera. The most frequently distributed species was Leptodictyum riparium (Hedw.) Warnst., followed by Cratoneuron filicinum (Hedw.) Spruce and Platyhypnidium riparioides (Hedw.) Dixon, Brachythecium rivulare Schimp. and Hygroamblystegium tenax (Hedw.) Jenn. The recorded 60 species of vascular plants refer to 25 families and 43 genera. The most common hydrophyte species was Lemna minor L., followed by Ranunculus trichophyllus Chaix, Myriophyllum spicatum L. and Potamogeton nodosus Poir. The most abundant species from the group of helophytes and amphiphytes was Mentha aquatica L., followed by Agrostis stolonifera L. Mentha spicata L., Berula erecta (Huds.) Coville, Juncus effusus L., Lycopus europaeus L., Lythrum salicaria L., Phalaris arundinacea L., Ranunculus repens L., Sparganium erectum L., Typha latifolia L., and Veronica anagalis-aquatica L. The majority of studied rivers sites were sunny, with moderate velocity, stony bottom, average depth up to 0.3 m and altitude between 100 and 500 m a.s.l. Key words: Flora, Mediterranean rivers, Bulgaria.